He was the 23rd Archbishop of Manila. He worked with so much zeal for the completion of the 1879 Cathedral. He even donated part of his own wealth for the construction of the main altar, the organ, the reboque, and painting of the bell tower. He was the 22nd Archbishop of Manila. 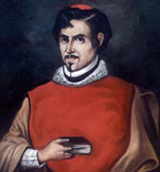 During his time, the Cathedral Restoration Committee or Junta was modified composed of the Cabildo under him. 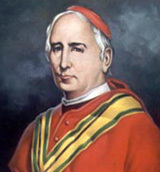 The Junta elected Vicente Serrano as the project director for the 1879 Cathedral. 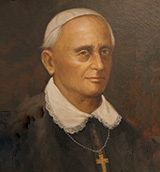 He was the was the 13th Archbishop of Manila. In 1737, he demolished the media naranja of the bell tower and rebuilt it in bricks. He obtained 13 large bells and solicited usused stone, bricks, and lime from the government. He died before the Cathedral was finished. 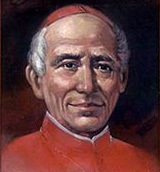 He was the 10th Archbishop of Manila. He was credited for the completion of the sacristy and the bell tower in 1706. He was responsible for fabricating a lovely pulpit of ivory, ebony and tindalo, reported to the King as the best in the colony. 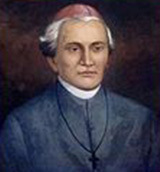 He was the second Archbishop of Manila who helped Bishop Salazar build the first stone Cathedral but did not live long to see it completed. He also founded the University of Santo Tomas in Manila in 1611. 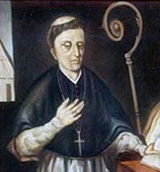 He became the first Bishop of Manila in 1580. He left for Spain in 1591 to solicit funds for the construction of the first stone Cathedral and to work for the elevation of Manila to an archdiocese, but died in 1594 before the Cathedral was completed.